Are they just friends or more than friends? After rumors circulated romantically linking her to Atty. 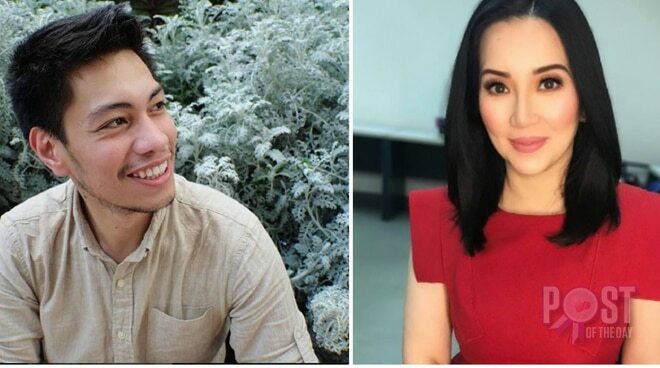 Gideon Peña, Kris Aquino spoke about the matter via Instagram. In response to a netizen's comment who expressed happiness for her and the lawyer for their supposed romance, Kris replied that they are just really friends. Kris wrote, "He's really a FRIEND - wag na nating gawing complicated pa... He deserves for the world to know he's available & not interested in me in a romantic way. Because he should have options & not be a "victim" of other people's expections - hence this reply." Both were rumored to be dating after their exchanged of "kilig" comments on Instagram. Atty. Peña even revealed via social media that he sent a personal message for Kris on Viber. They also exchanged love quotes on Instagram, which further fueled the rumors.